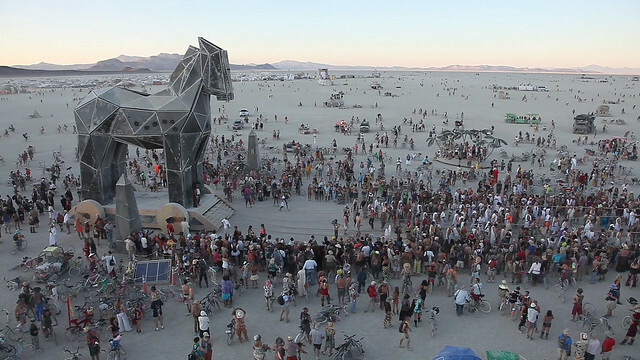 A great shot showing the assembly of Greeks, Trojans, Slaves, Gods, Goddesses and Burners, shortly before the second pull. And mind, that you only see the last third of our rows and rows of slaves. The image is a screenshot from the raw videos Gary Wilson (MindfulLight.com) took. They’ll be included in the documentary our director Todd is working on. Posted on September 28, 2011 by trojan	in Updates and tagged pull.